In this episode of The Tech Junkies, we follow up with our prior solar installation and show how to add pre-built solar panels to a shed. A new solar panel is born – More Power! As we learned from our feedback, solar cells must all be of the same size/power capacity to hook them in series properly. 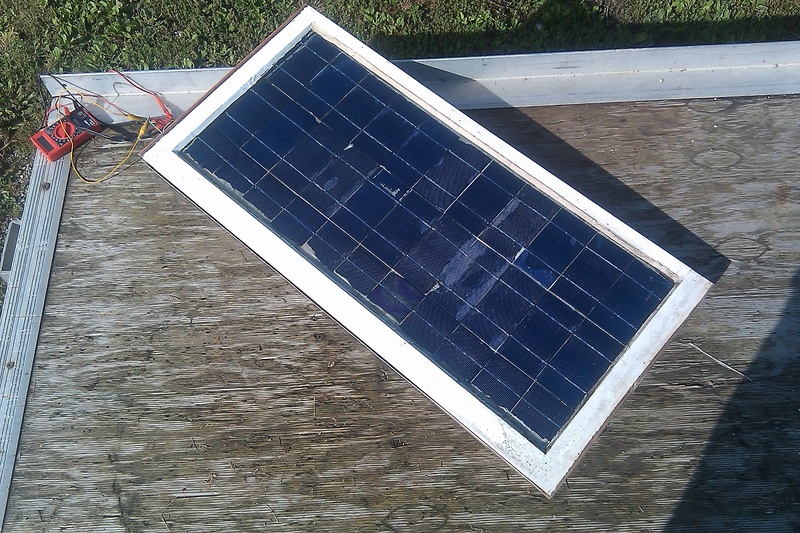 In the original solar panel we had snapped our third row of cells in half to get them to fit down the remaining glass and make it easy to solder together. That essentially limits the current output of the entire panel because the full size cells are choked by the limited current that can pass through the snapped cells. 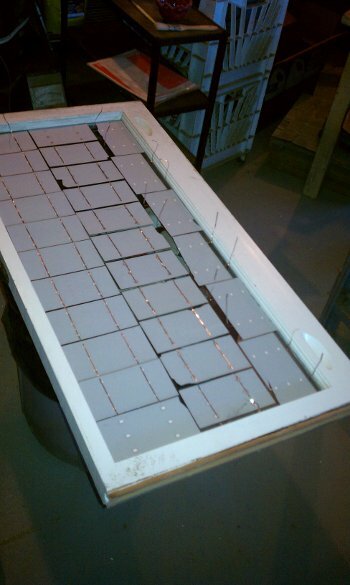 So we built another panel using all complete cells. It made it take a little longer wiring the cells together since we couldn’t just run down the straight line of them all, but we found that using tabbing wire for everything worked good. 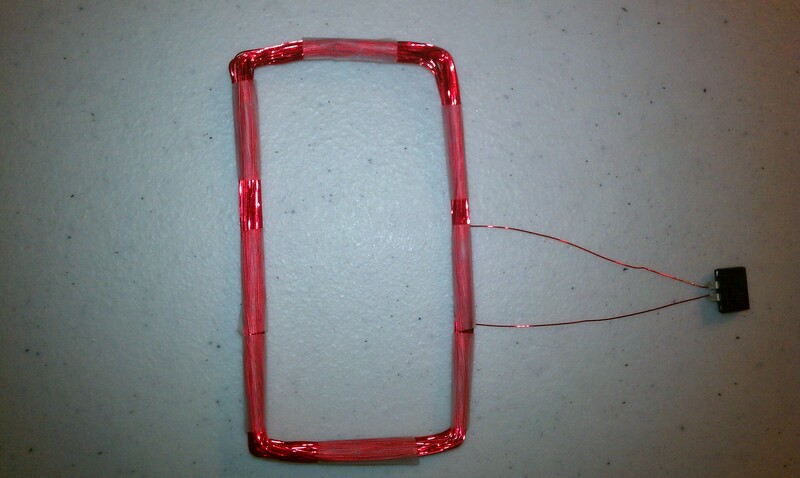 If you bend or fold the tabbing wire to make 90 degree angles it made it pretty easy to solder to the next cell. Make sure to read both the Wind Turbine Build and the Solar Panel Build. Then watch The Tech Junkies Episode #9 that documents it all and puts them to the test! Solar has really come down in price since the last time I looked. We wondered if we could start powering our shop off of solar. A good project would be to see if we can build a small scale solar array which would generate power back to the shop and keep it under $1/watt. This would have to include everything from the solar cells to getting usable power out the other end. So we started searching around. For this build we wanted to make a low cost wind turbine that could give us some good usable power at a low dollar-per-watt budget. We started out designing a 7′ 6″ diameter turbine and used a motor that has a max output of 1,100 Watts. 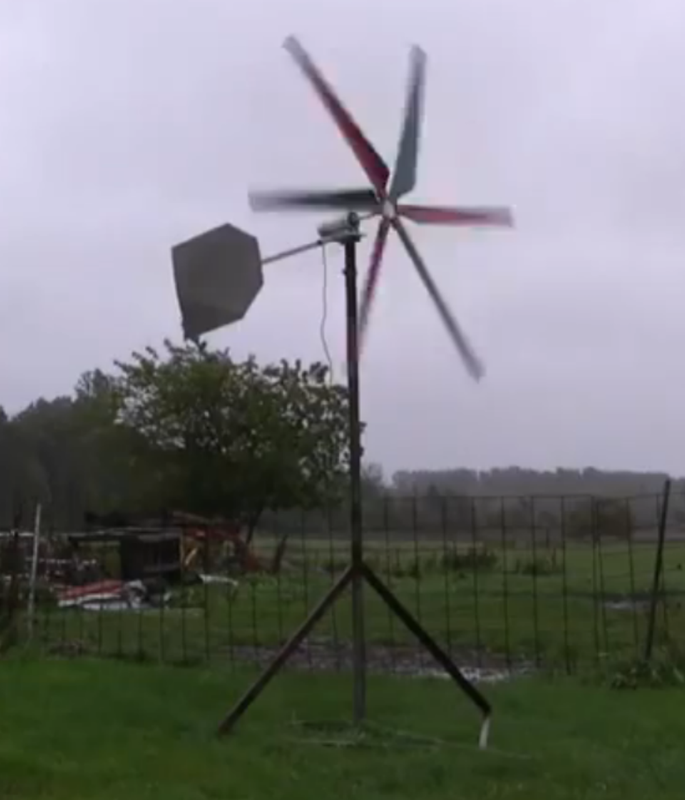 Our goal is to make a wind turbine that costs less than $1 per watt to build and operate. This includes the tower, the wind turbine, and the inverter to tie it in to our electrical system. We were pressed for time on this build because we had very high winds forcasted just two days after we started the build. We needed to come up with something quick to get this thing in the air and see what it could do. In this episode the Tech Junkies tackle cheap alternative energy systems. Ben and Eric guide you through the process of assembling your own solar panels for around 50 cents per watt and how to construct a low cost wind turbine. This is only the beginning…more to come in part two! Episode 9 should be hitting the site within the next week…until then, enjoy the teaser! In the second half of the RFID TTJ episode we covered how to clone or spoof an existing RFID tag. This was partially to expose the security flaws of RFID, but also because it can be very useful. I’ve stayed in a few apartments now that require an RFID tag to get in and out of the main gate. Sometimes you’ll end up getting only one or two RFID tags for the main gate when you have more people living in the same apartment. It’s also inconvenient if you have friends that come over often and you have to let them into the gate every time. Almost all of this information and work was put together by Micah Elizabeth Scott over at scanlime.org. We simply experimented with the technology and found what works best for us.